Overland Luggage Solutions are a North East that specialise in the manufacture & supply of luggage equipment for motorcycle. 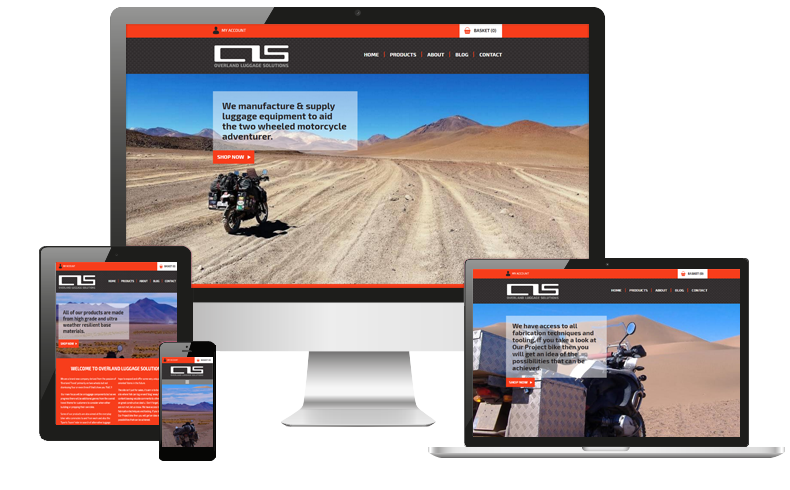 OLS contacted us when they were looking for a company to design and develop an eCommerce website for selling their products. As they already had an established brand one of the key requirements for this project was that the website fit seamlessly along side it. Using their existing colour scheme and branding we worked along side OLS to design a bold image lead site that made the purchasing process as simple as possible for their customers. The site was then developed using OpenCart which is a flexible eCommerce system that would allow OLS to easily manage product and process orders effectively due to its easy to use dashboard.